Reasons to Visit Bali in the Low Season - is it Worth Going? Home Asia Pacific Bali Low Season in Bali: Is it Worth Going? It might be called the rainy season but don’t be dissuaded – the monsoon period is one of our favorite times to visit the Island of the Gods. There are plenty of reasons to visit Bali in the low season! The Best Time To Visit Bali? Why should you go to Bali in the rainy season? The island is at it’s driest during the summer months of June through to August, which is when most people choose to visit. However, during the monsoon period, the island literally blossoms! In reality, the weather during the rainy season is much more changeable – but not necessarily wetter. April, May and September (just before and after the high season) are possibly our favorite times to visit. There isn’t much rain at all and you’ll find them a lot less packed. However, even during the wettest months (December through until February), wind from offshore storms bring comfortably cool temperatures so you’re just as likely to see sun as you are rain. 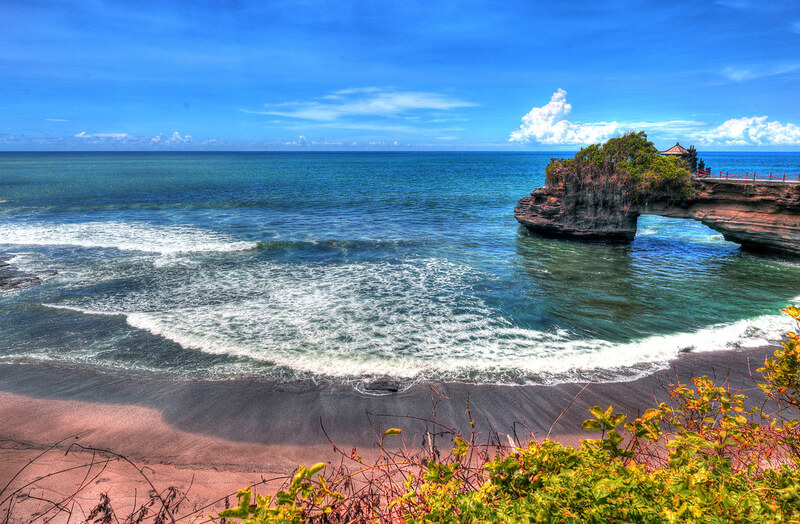 One of the best reasons to visit Bali in the low season is of course to avoid the crowds. Although it’s still possible to get off the beaten track, during the cooler months you can enjoy some of the most famous attractions in peace. For those looking to take up surfing or hone their skills, a visit to Bali needn’t take place during the summer months. Temperatures are equally comfortable during low season, and on the east coast (in hot-spots like Sanur or Nusa Dua) the winter months are generally considered to bring better surf. Furthermore, you’ll have a better chance of experiencing some incredible attractions alone. Ubud in particular is home to some cultural must-see’s, however is increasingly busy in the summer months. 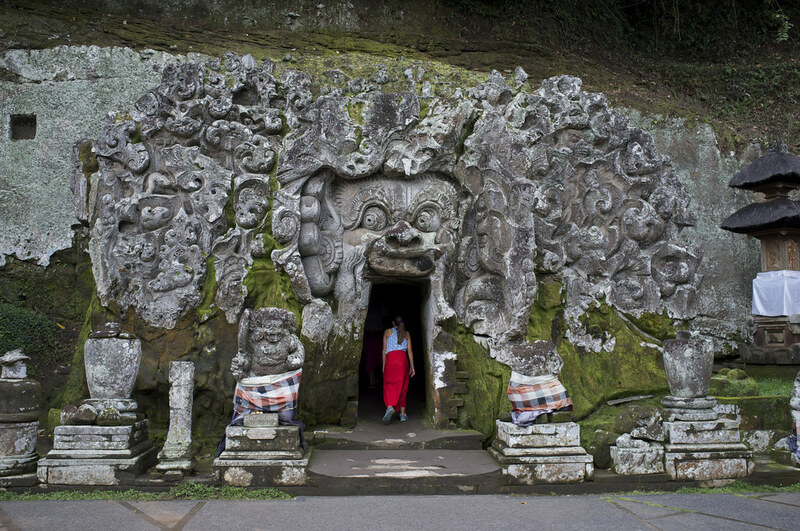 Goa Gajah (or the Elephant Cave) is one such site of archaeological significance and cultural beauty. 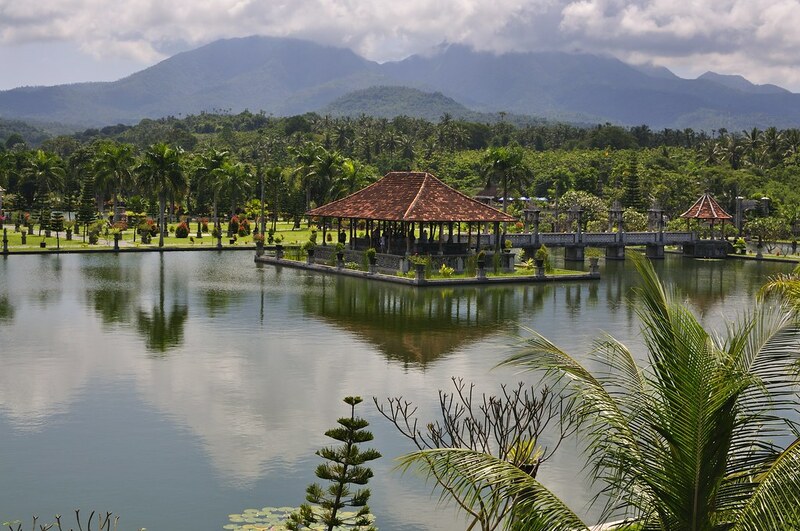 It’s surrounded by dazzling views of rice paddies and gardens. 2018 has been a thrilling year for festivals so far – if you’re wondering why to travel to Bali in the low season then these unmissable events might just tip the scales for you! 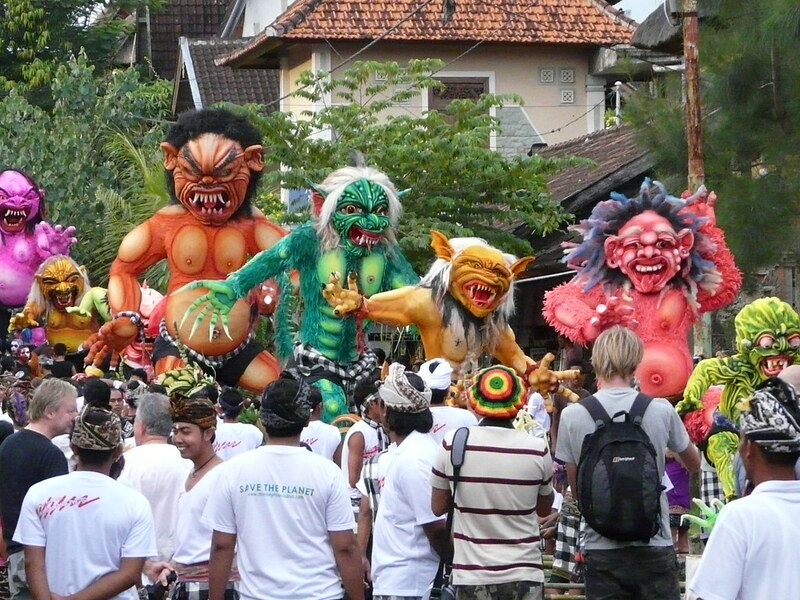 Bali Spirit Festival in Ubud is a celebration of world music, well-being and global community. One of the worlds most inspiring yoga festivals, the 2019 lineup takes place over a week (from 24th – 31st March) and promises to be one of the most vibrant and exciting reasons to visit Bali in the low season. Another cultural celebration is Nyepi Day, which will fall on the 7th – 8th March in 2019. During this Hindu Celebration for New Years Eve, everything will shut down – from beaches to businesses – as locals observe a day of silence. However, the evening before is a ritualistic celebration of music and noise which is certainly worth a visit! During September you can also catch some thrilling music festivals – they’re one of our favorite reasons to visit Bali in the low season. Soundrenaline (held in Uluwatu) is a two day music and arts festival. It’s a great opportunity to experience some contemporary Balinese music, drawn from the local rock scene. Dates for 2019 are yet to be confirmed. Rainy day in Bali? Then it´s the yoga time! Even if getting your hair wet is your idea of hell, there’s still plenty of reasons to visit Bali in the low season. For one thing, you don’t have to go outside to have a good time! One thing no-one can afford to miss on their trip to Bali is the opportunity to do some yoga. It’s one of the best places in the world for a spiritual retreat! Prana Spa Bali in Seminyak is one of our favorites. Who wouldn’t want to combine a yoga session amidst exotic eastern architecture with a luxurious spa treatment?! Needless to say the sporadic showers during low season are a the perfect excuse to pop into Bali’s chilled out bars and restaurants. If you’re in Canggu, pop into Finns Beach Club for some delicious cocktails and a bite to eat! There’s a dedicated sushi bar and a luscious cocktail menu – you can’t go wrong. At it’s peak, Bali has a reputation for crazy traffic which can easily rival any of its neighbors in Southeast Asia. Hordes of mopeds can make navigating the Southern towns of Seminyak and Canggu frustrating, and crossing the island can be tiresome. One reason to visit Bali in the low season is that you’ll find a lot less traffic jams across the island. This will make days of temple-hopping and zooming between attractions a lot more comfortable! Free up your travel plans to include more remote attractions such as Taman Ujung Water Palace, nestled on the east of the island. During low season, you should be able to make the drive in an hour and a half – it’ll be worth it to explore the stunning historical complex without drones of tourists. 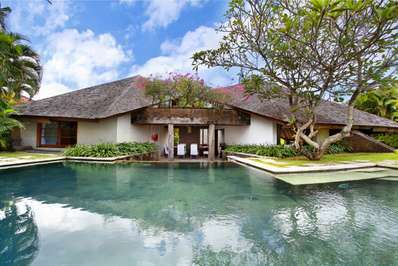 Surrounded by terraced rice fields in the south-western district of Canggu, Villa Bendega Nui is an oasis of luxury. A gym, library, games room (including a pool table) and massage room ensure you’ll never be bored if there are occasional showers! This gorgeous retreat features an infinity pool with breath-taking views of the nearby rice paddies from which you can admire the sun setting. Incorporating traditional Balinese architecture with a tropical modern twist, Villa Bendega Nui is the perfect retreat – no matter what time of year you visit. 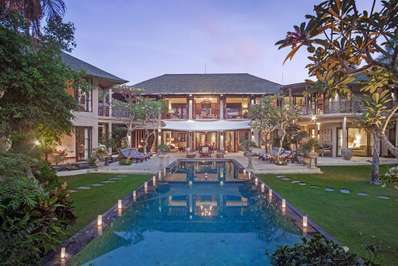 An ideal spot for small families or a couples retreat, Villa Ubud is one of the best-placed retreats – it is perched in the heart of Seminyak. From here you have incomparable access to the world-class restaurants, trendy bars and designer boutiques nearby. Don’t be fooled though – despite the convenient location, this peaceful hideaway doesn’t compromise on privacy. There is plenty of room to relax within the contemporary Balinese architecture, which features a tropical-style living pavilion and idyllic pool area. Inspired by our favourite reasons to visit Bali in the low season? Check out this five-day itinerary and start adding to your travel wishlist now! Airlines usually cut prices at the end of the high season, and you have a chance to benefit from the low-season ticket sales. Although it does not necessarily mean a dramatic change in the rates, you are likely to experience some enjoyable price reductions. You can further reduce the cost of a flight if you join Travelpayouts – travel affiliate program. You will be able to return up to 20% of the cost of different tourist services, among which there are also tickets for different Asian airlines.